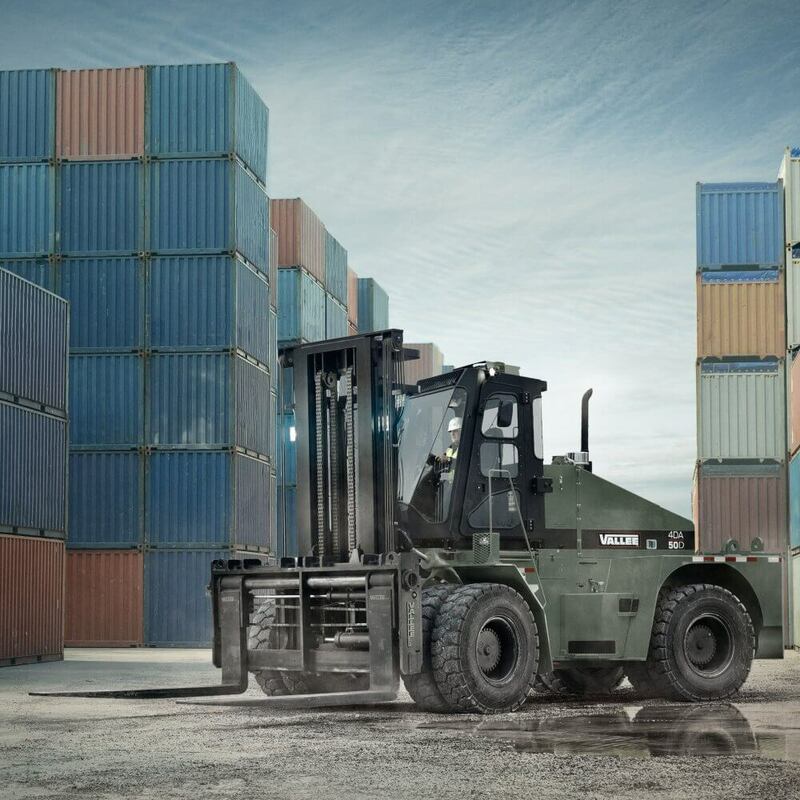 The most compact forklift on the market in its category, the powerful and adaptable four-wheel-drive articulated 4DA50D has a lifting capacity that belies its size, making it ideal for container hoisting and moving operations that need to be handled with speed and efficiency. Built uber-tough, the 4DA75D puts in long hours and performs dependably when you absolutely need it to, like during critical missions requiring the deployment of food, medical supplies and military equipment by air. Because compact design is a staple feature of Vallée trucks, this not only provides a degree of agility that can measurably increase the speed at which tasks are performed, but also facilitates meeting standards already in place, such as size, weight and airlift capability requirements. 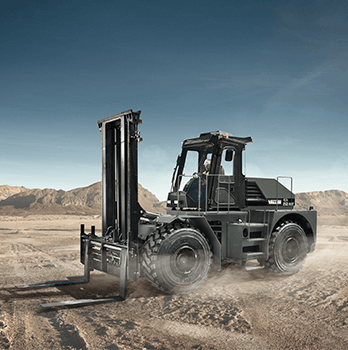 Vallée's forklifts are four-wheel-drive and capable of travelling over uneven and rugged terrain, including sand, snow, rock and mud. E.g. the 4DA25D XRT engineered specifically for Xtra Rough Terrain boasts the highest ground clearance on the market. 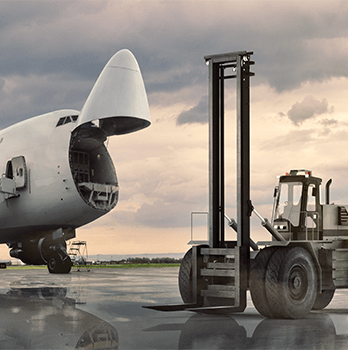 Our forklifts are so versatile and agile, they can squeeze into tight spaces ranging from the hull of military cargo planes to tunnel and underground environments. 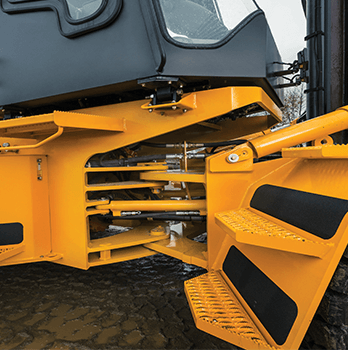 Essentially, they’re articulated to maneuver in ways and spaces other forklifts cannot.